Kotak Mahindra is one of the fast growing bank in India and they are constantly upgrading their services to serve the customers better. As per the growing requirements and changing technologies, the bank always come up with new generation banking services. As like other banks, Kotak Mahindra Bank also offers Online banking, Mobile Banking, Phone Banking etc. But now, they came with a new idea called WhatsApp Banking. In the current world, most of us spent our most time on WhatsApp, while using our mobile phones. And WhatsApp also introducing more and more feature time to time. The company introduced WhatsApp business last year with some additional features than the normal WhatsApp Account. This was mainly meant for Business purposes, and now company, banks etc are using the feature for their services. 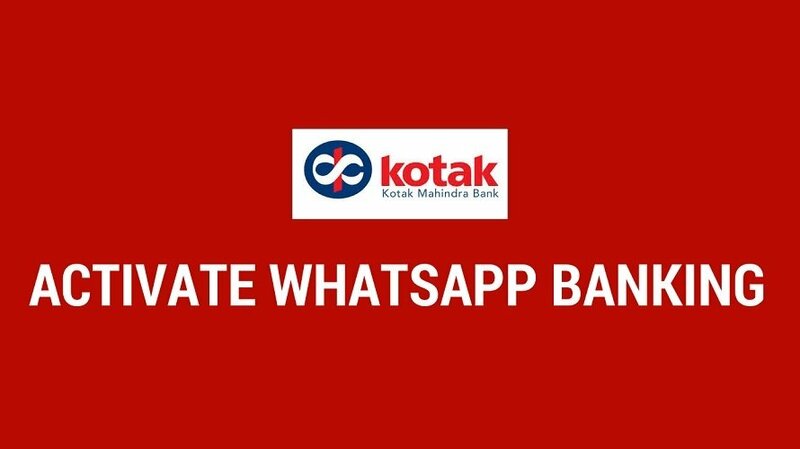 Using the possibility, Kotak Mahindra Bank has now come up with an Innovative idea called WhatsApp Banking. As the name says, the new feature will give you control of your Bank Account from within your WhatsApp Account. Even though the service is not a full fledged one with all the control as like in the Mobile Banking Applications, but with some limited frequently used features. This makes your job simple too, since if you need to check the balance of your account, then no need to login to your Mobile Banking Applications, just go to the Whatsapp and type Help and then type the corresponding key to get the balance instantly. Now, you are good to go and you can follow the instruction provided in the chat to get started, simply type ‘Help’ and you will get all the available service list. It will also give you some additional options where you will get all the instruction to use each services with Kotak Mahindra Bank. Note: When you type ‘Help’ in the chat, you will get a number of options with sub options, that are useful, but as i mentioned before, most of the options will give you instructions and not the complete result. You might have to go to website or mobile app to get it done. But in the basic feature case, its much useful in balance query, last transactions etc.